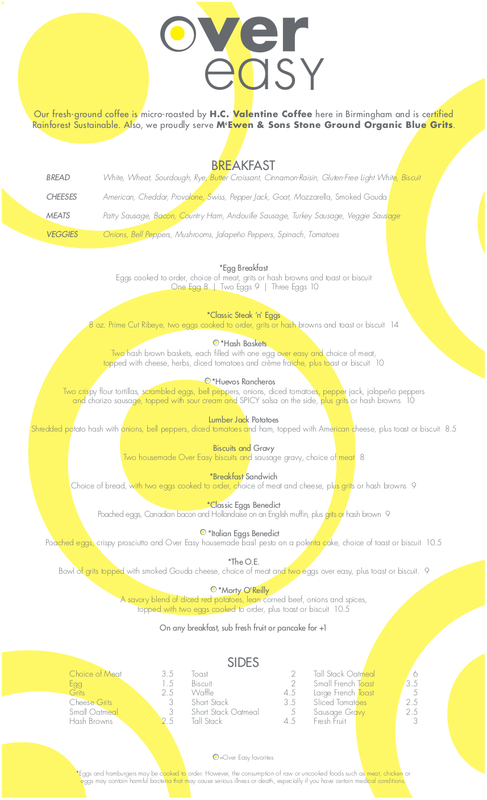 At Over Easy, we offer a menu that has something for everyone. We use only the most exceptional ingredients, including Alabama's own McEwen and Sons organic, stone-ground grits and Conecuh sausage. Our rainforest safe coffee is crafted and brewed specifically for Over Easy by H.C. Valentine, right here in Birmingham. Wherever possible, we buy local and organic. From basic, to complex, and hearty to health conscious, you will find what you need. 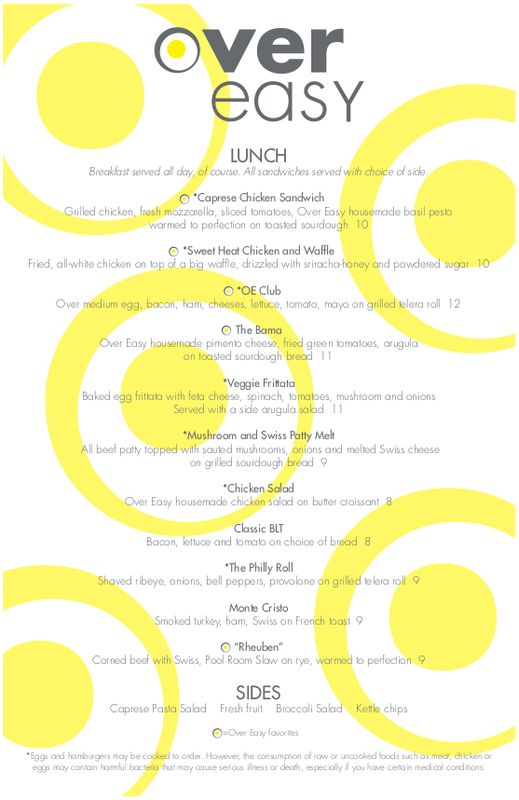 Our lunch menu is a sandwich lover's dream that is steeped in creativity. You will not be disappointed. 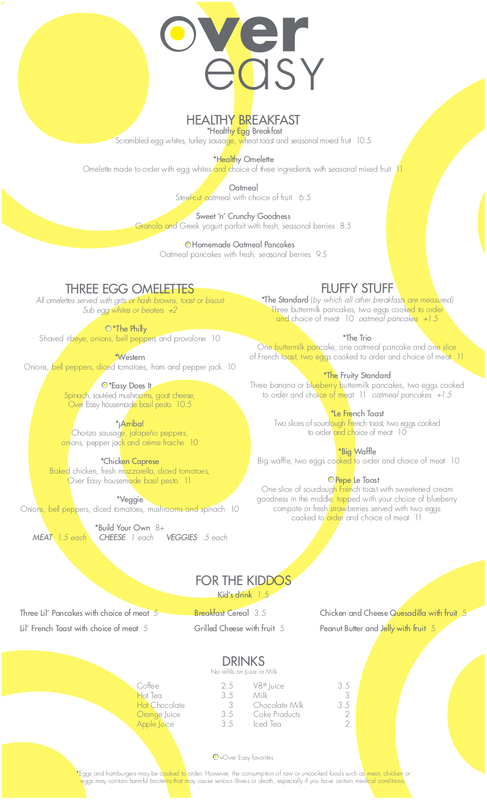 Be sure to check out our menu to see everything Over Easy has to offer!